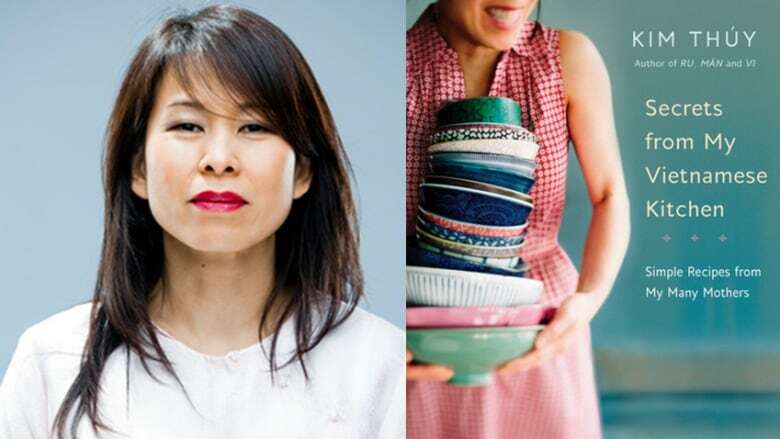 Kim Thúy is a Montreal-based award-winning novelist and short story writer. Born in Saigon, Vietnam, she and her family were among thousands who fled the country on boat after the fall of Saigon. They later settled in Quebec. The award-winning writer of the novels Vi, Man and Ru — which won the the Governor General's Literary Award for French-language fiction and Canada Reads 2015 — is now the author of Secrets from My Vietnamese Kitchen, a cookbook with recipes for food as fresh and vivid as the writing in her novels. Thúy spoke to Shelagh Rogers about Secrets from My Vietnamese Kitchen. "My mother has five sisters and two brothers —and they have all raised me in one way or the other. They have been by my side from the beginning because we share the same house the same cuisine, the same table, the same everything. Even though each of us had our own cuisine, we still ate together every day. Eating is not about eating: it's about sharing stories. It's about discussing and conversing. "It's easy to share with Vietnamese cuisine because we put everything in in the middle of the table. The number of guests is never considered. It doesn't matter how many guests. You can be invited only as a couple and then you can come with two other friends or five other friends and you can just sit down." "For me, cooking is always for a purpose. When I'm alone, I never cook. I never cook for myself and when I tour, I often don't cook for many days and don't miss it at all. I enjoy and am fascinated by other people's food and cuisine. But every time that I come home, my family is very happy because I'll bring home new flavours and new ideas." "Very often, people ask me what's my favourite meal. But I am such a gourmand and so I can not choose one dish or one meal. I had to really write about it — and it all came back. It was that moment when we were in the refugee camp. There was no running water and we were in the blazing sun, 45 degrees in the shade. So one day, I don't know how it happened, but we got a gift of a bag of ice and some Coca-Cola. In Vietnam, they would pour the Coca-Cola in the bag with the ice — so that they can take back the bottle right away — and they would put a straw in the middle and tie the bag up. "We got that as a gift from somebody and our group was 13 people, the youngest one was five months old. My brother was the next youngest one — he was about 6 or 7. When I saw that bag being shared among the 13 of us, I was sure that I would never get anything because I thought my brothers might drink it all because we had not seen ice for so long. You could see the condensation drops around the bag and it looked marvelous. It was best thing that could happen to us. We didn't talk. We didn't say anything, but the bag went around at least three times. "Basically nobody drank anything, we just wet our lips. At that moment we learned so much about dignity and about sharing. Despite the thirst and hunger that we felt, we still tried to be bigger than ourselves, to be a better humans, basically. I learned that we share so much easier in misery than in wealth." Kim Thúy's comments have been edited for length and clarity.